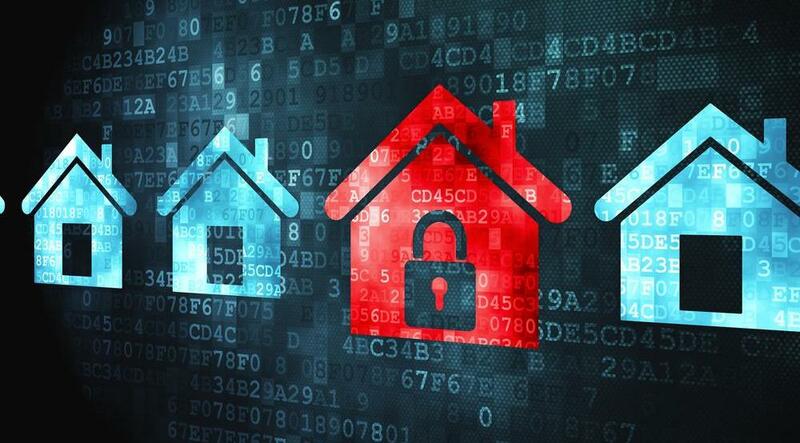 Have you ever wondered how secure your home is? With rising concerns over burglaries, homeowners need to be a little more savvy in taking care these days. The police say that homes with no security measures are five times more likely to be targeted than those with some simple security in place security. At Urban Locker we take security very seriously – each locker is individually alarmed, with PIN code entry on the entrance and 24 hour CCTV. However, we know that keeping your home secure without feeling you are under lock and key, can be a little more involved. The point, it seems, is not to make your home a Fortress of Impenetrability, but to make of a Domicile of Difficulty – that is to say, make it look like so much hard work to get in, that the thieves go for an easier target. Go outside, and look at your home compared to others on the street. Have you got ladders lying in the grass or tools in view? Valuable tools can attract a thief to your house, while leaving hammers, ladders and other items around may be providing easy access to an opportunist thief. While you are out, even in the garden, have you left doors and windows open? Or, is the shed or garage visible and open from the road – particularly of note if your garage has a connecting (hopefully locked) door into your home? Do you have a visible alarm box? Even a dummy box can act as a deterrent, so consider placing one high up on your home. Install security lighting and movement sensors on the outside of the house. Have you got secure fencing and a locked gate? Everything that slows a thief down in getting into and away from your home will encourage them to move elsewhere. An unoccupied home is more appealing than one where confrontation could happen. So, make your home look occupied, even when you are out. Put some lamps and a radio on timers inside. That way, even while you are out the lights and noise are on at home. Close your curtains. Nothing says empty house more than open curtains throughout the night. Check your doors and windows. Are they all locked securely? Thieves have been known to access homes using the door key, by hooking it through a letterbox. Make sure you don’t leave keys in the door or within easy reach. Better yet, keep all keys out of sight. Thieves may not be after the contents of your home – not if you have an expensive car sitting on the driveway. Most homeowners place keys in a drawer or on a hook nearest the door – so make it harder for thieves by moving things about. Sadly, you can’t always prevent a very determined thief. However, you can do more to ensure that there is nothing inviting them to your home. We also recommend that you keep valuables locked away in a hidden home safe. Please don’t advertise that you are away on social media. Telling everyone you are away for a week not only makes your home vulnerable, it could invalidate your home insurance. However, do tell your neighbours. They can watch over your home, and collect any parcels left out on the doorstep, making it clear that the house is under a watchful eye. If you plan to leave your home unattended for any length of time, such as going abroad, you might want to consider putting anything valuable into storage. Cookes Storage Service can provide secure storage.